FREE ONLINE ESTIMATECheck out our pricing today! Joey The Pied Piper offers residential and commercial customers in Midlothian, TX professional pest control services. We are here to protect your property by using a well-established pest elimination and prevention program. We are a locally owned and family operated company. No two structures are the same and the pest control treatments that work for one may not work for the other. Joey The Pied Piper provides various pest control treatment options through a unique, customized and flexible program designed specifically for you. This includes a detailed report on what pests were found, the type of treatment provided and prevention tips to avoid recurrence. You shouldn’t have to adjust your work schedule or miss pre-planned activities to deal with a pest infestation. Joey The Pied Piper provides convenient scheduling including evenings and weekends to obtain pest control services when it works best for you. Most homeowners or business owners don’t discover they are dealing with a termite infestation until a great deal of damage has already been done within the walls of their structure. This, unfortunately, can lead to an average repair cost of $3,000 or more depending on the extent of their feasting. Whether you are starting new construction or just want to make sure your structure is safe, Joey The Pied Piper can help with termite detection and control services. Bed bugs have started to pop up seemingly everywhere from homes to businesses and anywhere in between. 76% of pest control professionals find bed bugs to be one of the hardest pests to deal with without the proper tools and knowledge to remove them. If you are finding bed bugs around your home or business, or just have unexplained bites, Joey The Pied Piper can identify the presence of these blood-sucking pests and utilize cutting-edge bed bug control treatments to remove them. Throughout the spring and summer months, Texas homeowners and business owners will often find a wide variety of ant species foraging for food in their structure. While many of these ants are considered nothing more than a nuisance pest, their presence can be a little unsettling as their numbers begin to grow. Whether you have fire ants, odorous house ants or anything other species in between, Joey The Pied Piper can help return your home or business to normal with effective ant control treatments. While many pest control companies will attempt one-size-fits-all pest control treatments, Joey The Pied Piper is committed to providing customized, flexible residential pest control treatments to eliminate pests both inside your structure and around it. Joey The Pied Piper will install insect monitoring devices to help determine what pests are currently in your home and the best treatment plan to remove them. Ready to get started? Contact Joey The Pied Piper today! Cockroaches are notoriously difficult to get rid of and the sight of even a single one in your home or business can cause panic. While there is a common misconception that cockroaches can only be found in dirty places, even the cleanest home or business could be the target of a cockroach infestation. Don’t settle for DIY cockroach treatments that are ineffective! Joey The Pied Piper can help rid your home or business of cockroaches and the health problems they cause. Just one or two rodents can do extensive damage to a structure while they forage for food and gather nesting materials. Even worse, the presence of rats or mice in a business can not only damage their reputation but ultimately lead to closure if the infestation becomes extensive. 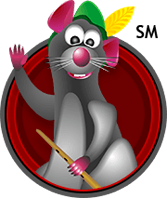 Joey The Pied Piper can provide superior rodent control services for both commercial and residential clients and implement monitoring systems to ensure they don’t return. Spiders play an important role in controlling the populations of other insects; however, when their numbers grow, or venomous and poisonous species start showing up, it can turn into a serious problem. If you are finding black widows or brown recluse spiders are your home or business, it may be time to seek professional assistance. Joey the Pied Piper can help identify harmful spiders in your structure and determine the best treatment options to remove them. Joey The Pied Piper Pest Termite and Lawn offers commercial & residential pest control services to businesses in a wide variety of industries. No matter if your business is in a commercial office space or a large warehouse, we tailor the solutions to fit your needs. We also provide a customized pest control service for each home owner which is more effective with the highest level of safety for your family, friends and pets. We work hard to meet every client’s needs effectively and to protect their most important investments. Dedicated to outstanding customer service, we respond to your request within 24 hours and offer a 100% satisfaction guarantee. As the top rated local® Midlothian, Texas pest control provider, Joey The Pied Piper is fully licensed and specializes in pest control, termite control, bed bug control, rodent control, animal trapping, real estate inspections and carpet cleaning. SCHEDULE SERVICEwe can help you today!